“Why couldn’t it have killed me?” pondered Diego Buonanotte years later. His father’s black Peugeot 307 was almost unrecognisable, a twisted lump of mangled metal rendered completely useless. The French hatchback had skidded off a rain-soaked and poorly maintained Route 65 before smashing into a tree. Three of Buonanotte’s closest friends – Gerardo Sune, Alexis Fulcheri and Emanuel Melo – made the fatal error of not wearing their seatbelts and were pronounced dead at the scene. As well as tragically claiming three young lives, the accident, in late December 2009, would shape the future of a 21-year-old star with the world at his feet. 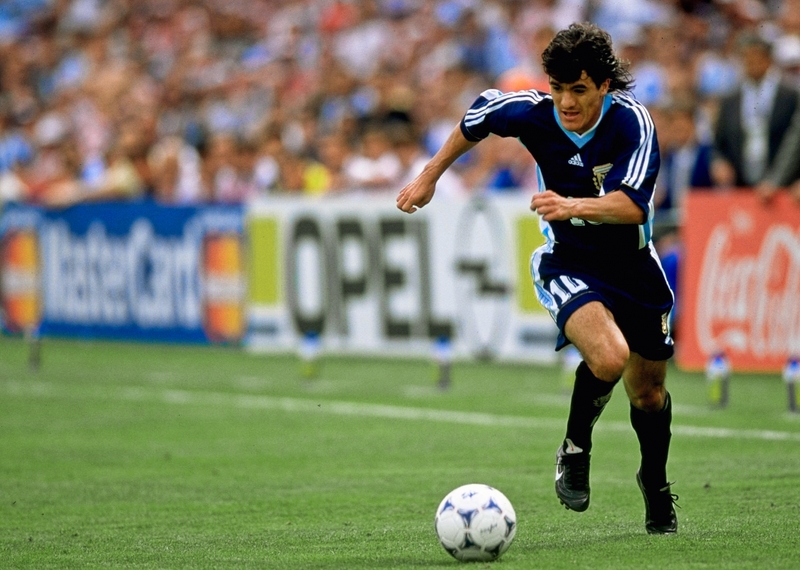 In April 1988, almost two years after his famous namesake had lifted the World Cup trophy for Argentina in Mexico, Diego Buonanotte was born in Teodelina, a small Santa Fe town on the border with the province of Buenos Aires. The precocious talent joined the River Plate youth set-up as a 13-year-old and made his full professional debut in April 2006, ten days shy of his 18th birthday, replacing a certain Gonzalo Higuaín in a game against Instituto. Daniel Passarella, the River Plate legend who captained Argentina to the World Cup in 1978 in their very own stadium, El Monumental, was the man who gave him his first taste of action in the famous white shirt with the diagonal red sash. In November 2007 Buonanotte’s rising star was acknowledged by World Soccer, with the attacking midfielder making the magazine’s ’50 Most Exciting Teenagers on the Planet’ list. The diminutive forward, whose five-foot three-inch stature earned him the nickname El Enano (The Dwarf), was named 12th, ahead of future World Cup winners Toni Kroos, Juan Mata and Mesut Özil. Predicting the future of young footballers is far from an exact science and while several have gone on to do great things – including the aforementioned trio – it must be noted that an equal amount have faded into obscurity. Regardless of what the future would or wouldn’t hold, Buonanotte’s inclusion was a sure sign that his emergence and potential had clearly been noted. 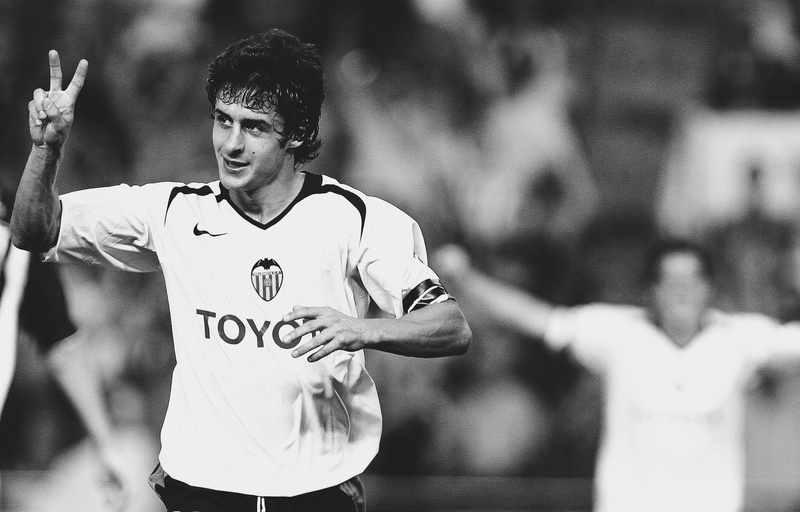 Buonanotte etched his name into River folklore in June 2008 by inspiring his team to victory and sealing the Torneo Clausura, the 33rd domestic championship in their history, in the process. Los Millonarios were greeted by the traditional El Monumental ticker-tape welcome, with the spine-tingling atmosphere inspiring the hosts to take the lead with a well-rehearsed set piece. With the Olimpo defence expecting a deep, whipped-in free-kick, the ball was instead cleverly dragged to the edge of the box. As the defence were drawn to their own goal like a magnet in anticipation, Buonanotte retreated in the opposite direction, finishing first time from 20 yards with his left foot. The delighted youngster ran straight into the waiting arms of his manager, a black-suited Diego Simeone. The visitors, not reading the script, equalised in the second half but that merely set the scene for Buonanotte to once again take centre stage. Ariel Ortega, by then a 34-year-old veteran suffering from alcoholism, was still capable of moments of magic and he proved it in this game. Receiving a pass from Radamel Falcao, El Burrito, the sorcerer to Buonanotte’s apprentice, played a clever disguised pass that split the Olimpo defence, allowing Buonanotte to finish from a tight angle with his weaker right foot. El Enano crossed the running track encircling the pitch, before diving to the ground and soaking up the adulation of the adoring River faithful. A new king of El Monumental was crowned – or so it seemed. Two months later, Buonanotte’s star would continue to rise when he was selected for the national team for the 2008 Beijing Olympics. The team, captained by Juan Román Riquelme and including such stars as Lionel Messi, Javier Mascherano, Sergio Agüero and Ángel Di María, won their first two group games. Buonanotte received his chance to shine in the final match of the first phase, a dead rubber against Serbia in front of 54,000 fans at the Workers Stadium. Argentina held a slender 1-0 lead until the 84th minute when Buonanotte was tasked with the taking of a free-kick, despite the presence of set-piece luminaries such as Éver Banega and Riquelme. Displaying a perfect technique, Buonanotte wrapped his left foot around the ball, bending it over the wall and into the goalkeeper’s bottom left-hand corner, before being embraced by his legendary captain. Although he failed to make a further appearance, Argentina went on to win the tournament, giving the youngster a gold medal and memories to last a lifetime. Further international recognition, this time in a more prominent role, came when Buonanotte inspired Argentina to a third-place finish at the prestigious Toulon Tournament in 2009. Dazzling opponents with his dribbling, through balls, and the ability to draw a foul, Buonanotte finished as the tournament’s joint top scorer and emerged as one of its brightest stars. It seemed that the gifted midfielder was next on the long Argentine production line of potential stars, until the tragic accident in December later that year that turned his world upside down. Whilst in intensive care, Buonanotte was oblivious to the plight of his three friends, with concerned hospital staff keeping the tragic news from him for as long as they could. A broken collarbone and humerus, as well as a lung contusion, were just some of the injuries suffered by Buonanotte. However, the physical injuries would pale in comparison to the mental scars he would carry with him for the rest of his life. Less than four months after the crash, and three ahead of schedule, Buonanotte returned to the pitch as league leaders Godoy Cruz visited El Monumental. River were on a dreadful run of five games without a goal, hovering dangerously close to the bottom of the table with only 14 points from as many games. Two weeks later he scored the first goal of his comeback in a 2-1 victory over Vélez Sarsfield, controlling a cross before half-volleying the ball home. The roar of the crowd was deafening, and it seemed that the demons had been momentarily exorcised. The ecstatic player removed his shirt in the midst of the wild celebrations, displaying a support on his right arm to protect the humerus he broke in the car crash. The joy of his second coming at El Monumental wasn’t to last. In late December 2010, Buonanotte complained that River Plate’s technical staff weren’t showing him sufficient respect, although he claimed that Passarella was always nothing but supportive. The following month his boyhood club accepted a £3.8m offer from Spanish side Málaga, backed by the billions of Qatari royal Nasser Bin Abdullah Al Thani. With Chilean manager Manuel Pellegrini in the dugout, the Andalusian club were hoping to break the LaLiga duopoly of Barcelona and Real Madrid, and the exciting signature of a talented young Argentine star was another piece in an expensive puzzle. Buonanotte signed a five-year contract with the La Rosaleda outfit, joining his new teammates in the summer of 2011. A weight was lifted off Buonanotte’s shoulders in March 2011 when a Junín court ruled that he was not responsible for the accident that caused the death of his three friends. He was deemed not to have been speeding or driving dangerously, and his bloodstream was clear of drugs and alcohol. The weather and a poorly maintained road were both cited as causes in what amounted to a tragic accident. Although the emotional torment couldn’t be erased with the striking of a judge’s gavel, it at least meant he was declared innocent of a potential manslaughter charge that could have led to five years in prison. 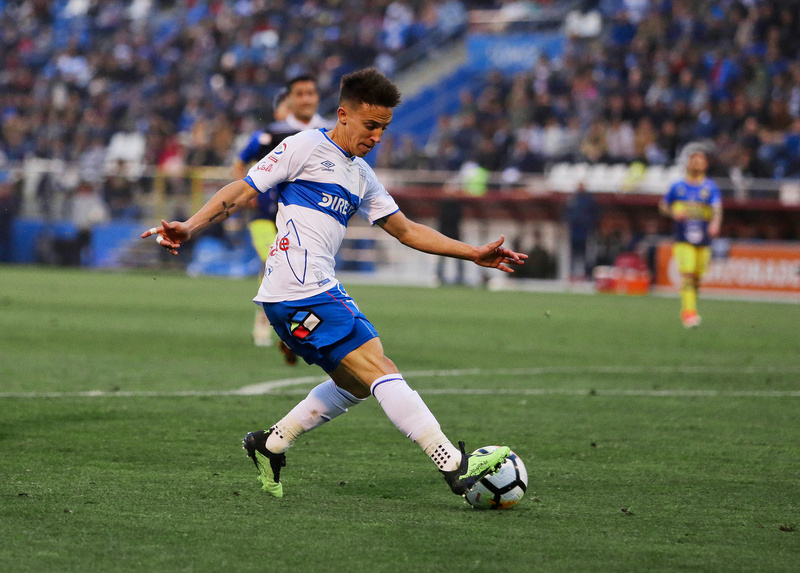 His first season in southern Spain represented a transitional period, with Buonanotte making just ten league appearances as Málaga recorded a fourth-place finish, the highest in their history. Starting just five games and recording 454 minutes of playing time in all competitions, the youngster played second fiddle as big-name signings such as Isco, Santi Cazorla, Ruud van Nistelrooy and compatriot Martín Demichelis stole the limelight. Despite the departure of some big names as Al Thani’s Málaga project appeared on the verge of collapse, Buonanotte still couldn’t manage to force himself into Pellegrini’s plans. He started just nine games in all competitions in 2012/13 before bidding farewell to Málaga, moving across Andalusia to Granada in January 2013 for €2m. However, the same lack of football that blighted his stay at La Rosaleda followed him to the Estadio de Los Cármenes, with just 15 starts in 18 months ending a far-from-fruitful three years in Spain which saw his progress stall. In recent years, Buonanotte has become somewhat of a journeyman, spending six-month loan spells in Liga MX with Mexican side Pachuca and with Quilmes in his homeland. Under the auspices of Uruguayan manager Gus Poyet, Buonanotte enjoyed a more enjoyable spell in Greece, scoring 11 goals in 19 starts to help AEK Athens win the Greek Cup. However, he would start 25 games on the bench and, as his career wore on, looked increasingly like a squad player, one unable to make a significant impact on a consistent basis. Buonanotte’s most recent move came in July 2016 when crossed the Atlantic once more, heading back to South America to join Chilean side Universidad Católica. His form was imperious as Los Cruzados captured the 2016 Torneo Clausura, scoring a total of eight goals including two braces and a purple patch of four goals in five games. However, his journey to the domestic championship, his first since 2008 when he burst onto the scene as a fearless happy-go-lucky youngster, was not without its bumps in the road. In November 2016, in a 2-2 draw with rivals Colo-Colo, an opposition player did the unthinkable and attempted to use Buonanotte’s grief over the fatal car crash to unsettle him. “Oi murderer,” Colo-Colo midfielder Esteban Pavez shouted, “you killed your three friends!” Showing a maturity that belied his age and physical stature Buonanotte, visibly upset by the comments, kept his composure. Refreshingly, Colo-Colo stalwarts rounded on Pavez, chastising him for his ungentlemanly behaviour and apologising to the Argentine on his behalf. Buonanotte later remarked that he was used to hearing it from opposition fans, par for the course given the tribal nature of football fandom, yet hearing it from a fellow professional was a different matter altogether. Playing scintillating football, Universidad Católica’s 2016 Torneo Apertura success ensured they retained their title and won back-to-back championships for the first time in their history. Buonanotte was voted player of the tournament and struck up a great bond with Nicolás Castillo on and off pitch, with the duo combining to score 21 goals. However, as has seemingly always been the case for Buonanotte, a peak preceded the trough. Castillo’s loan spell ended and the productive partnership was prematurely broken up. This was one of the factors that explains UC’s poor 2017, which produced one of their worst seasons in recent memory. Buonanotte suffered further emotional heartache in October 2017 after hearing the news that his father had suffered a stroke. The doting son immediately flew across the Andes to his homeland, missing three games with the unwavering support of his coach, Mario Salas. It’s almost a quirk of fate that, given his father’s ill health, Buonanotte connected with a paternal figure such as Salas. The Argentine posted a photograph on Instagram with him and his coach in a tight embrace in that clearly displayed the mutual affection and fondness shared by the pair. In the accompanying words, the player thanked Salas for helping him rediscover his love for football, for reminding him that they are humans before they are footballers and coaches, and for calling him every day whilst he was in Argentina to offer his support when it was most needed. Buonanotte will turn 31 in April 2019 and, ten years after that whirlwind few months where he guided River Plate to the league title and picked up an Olympic gold medal, it remains to be seen what the future holds, though lifting the 2018 Primera División with La Católica has given him another career highlight. A talented youngster who seemingly had the world at his feet, he’s perhaps never truly recovered from the terrible car crash that killed three of his friends, temporarily injuring the footballer physically but leaving him with indelible psychological scars. Parenthood and the ill-health of his father recalibrated his priorities to the point where football wasn’t always his number one focus anymore. Although he hasn’t achieved what he threatened to during those halcyon few months in 2008, there are still moments to look back and cherish, and the mental strength he has shown to forge any sort of career following the events of December 2009 is truly remarkable. The New Year is always synonymous with regeneration and, after his club’s glory in 2018, perhaps the fire will burn for a while yet in Buonanotte, a man many in Argentina would be proud to see return home.